Of the average printed project that mails, postage is 9% of the total investment. Address an envelope put on a stamp and drop the envelope into a mail box. Within 3 days that letter will be delivered anywhere within the United States. You place the letter into the mail box. It is picked up and delivered to the Sectional Center and sorted by city. Delivered to LAX and air freight to destination city's Sectional Center. 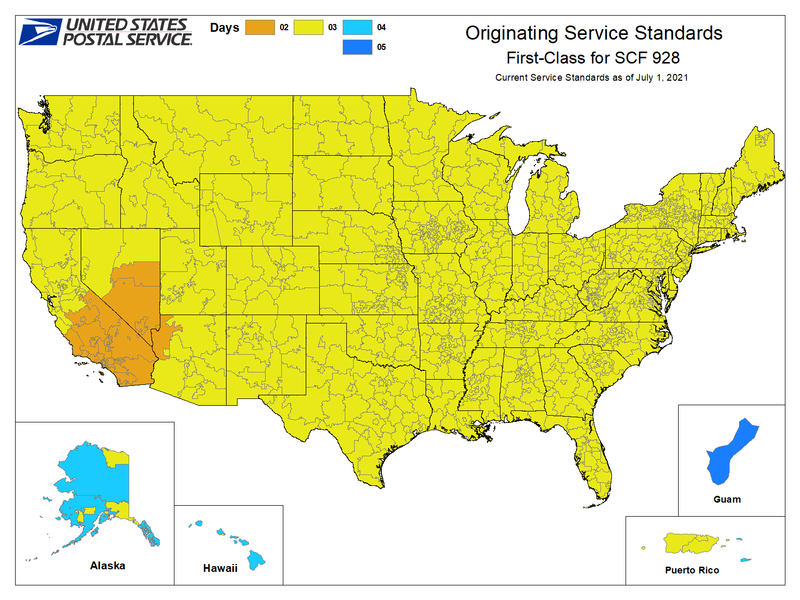 Sectional Center sorts your letter to carrier route delivery order. The postal worker delivers your letter to the recipients mail box. For first class mail, local addresses generally deliver within 3 business days. Deliveries to Mira Loma, California (not in Orange County) take from 2 to 7 days to deliver, whereas deliveries to West LA and Michigan can take up to 8 days. 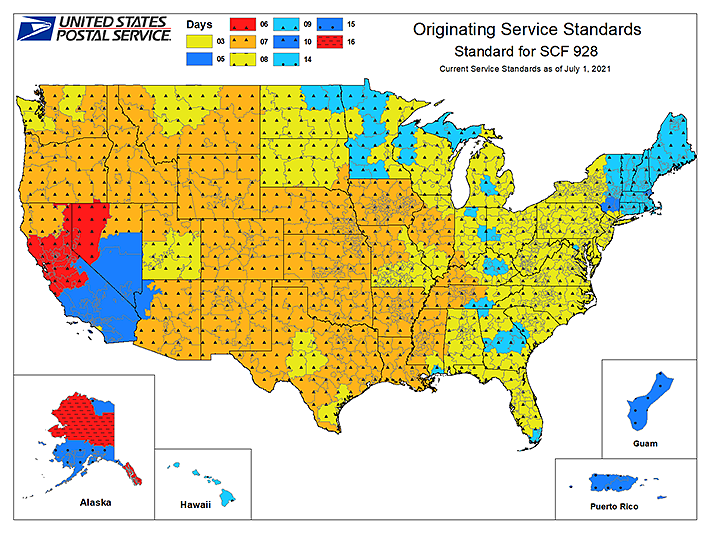 For standard mail, local mail deliveries take from 2 to 6 days. Mail to Mira Loma can take from 4 to 8 days, and deliveries to West LA can take 4 to 8 days. Deliveries to Michigan can take from 9 to 15 days. To see mail delivery times from your location, Click Here. Keep it smaller than 6-1/8 x 11-1/2. Postage goes up if larger. Don't do square and save a 12¢ surcharge. Go automated: minimum quantity 500 for First Class, 200 for Standard Mail. Weigh a complete paper dummy before job is printed to determine postage rate. If it weighs more than an ounce think about standard mail which allow for 3.3 ounces. Or try using lighter paper or reducing size.